of our latest work & customer feedback. Harrison Heating Ltd is a well-established, local, family run business. 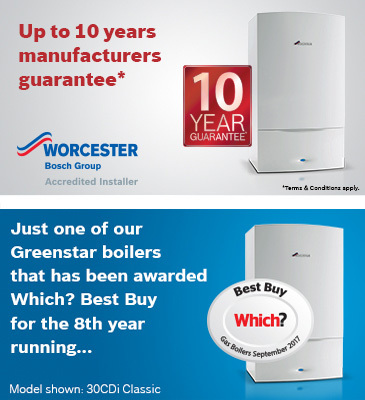 Our aim is to provide a professional and personal service with excellent post-installation back-up supported by Worcester Bosch. We work throughout Chester and the surrounding areas. Established since 1975, we have the knowledge and expertise needed to ensure that you receive nothing but the best service. Our reputation has been developed through hard work and reliability which is why we are the area's number one choice for plumbing & gas related work.